R 150,- / € 18,- order here! 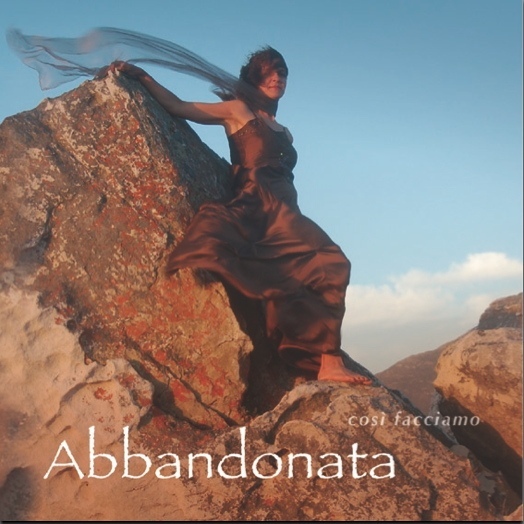 The central works on così facciamo’s new CD are the emotionally highly charged settings of two famous laments of infamously abandoned mythological figures: those of Arianna and Armida. Apparently striking a deep-seated experiential archetype, both tales have been told and set to music in countless versions since ancient times. And both continue speaking to audiences, who invariably respond to the personal reverberations of this universal and timeless topic: the intrinsically human, yet most inhumane, immutable experience of loss, betrayal, forlornness and abandonment. An array of diverse instrumental and vocal pieces spanning more than a century of Baroque music, frames these two works. It ranges from simple to elaborated strophic songs, through vocal and instrumental solo fantasias, various ostinato forms (a passacaglia as well as a ciaccona), an early trio sonata, Arianna’s already mentioned monody, a set of (literally!) crazy variations: ‘La Follia’, two cantatas as well as two fully fledged opera arias. Strongly underscoring the rich emotional content of the lyrics, this wide scope of expressive means amounts to a remarkable abandon of formal variety. This then is of course the other meaning of abandonment – suggesting an unrestrained yielding to an impulse, a manner of fully indulging in an activity. This neatly encapsulates facciamo’s approach: making music with abandon is just as much deliberate ‘program’ as it is to express the other (forlorn and dejected) kind of abandonment adequately. In fact, both aspects fully require and complement each other.